In downtown Portland, OR right off Interstate 405, our Central Self Storage facility is accessible from anywhere in the City of Roses. Stop by your storage unit on your way to or from work in the Pearl District or Northwest District, or use it for a quick retrieval of your things on your way to any of Oregon’s surrounding parks. We have the perfect selection for business owners and heads of the household, as well as outdoorsy types. Take advantage of our range of unit sizes, long hours, and convenient features. To meet your unique needs, we offer storage space big and small. If you’re looking for an extra closet, our 5’ x 5’ units come in handy. If you’re downsizing, a 20’ x 45’ unit is perfect to hold onto everything you own until you need it. Our facility’s generous access hours let you get into your storage unit whenever is best for you. In addition, our leasing is designed with you in mind; we allow month-to-month leases, with no deposit required and the ability to pay online. With wide driveways, high ceilings, covered loading areas, and fencing and lighting, moving your belongings in and out is as easy as ever. We also provide elevator access, as well as dollies and carts to help you transport your things. Need additional packing and moving supplies along the way? We sell everything you need on site. You don’t have to worry about security, either – our electronic gate access makes sure only tenants are allowed in. Let our professionals in Portland, OR help you find the perfect storage unit. Contact us today to get started. Follow our driving directions to reach our self storage facility in Portland, OR. There are currently no reviews available for this location. 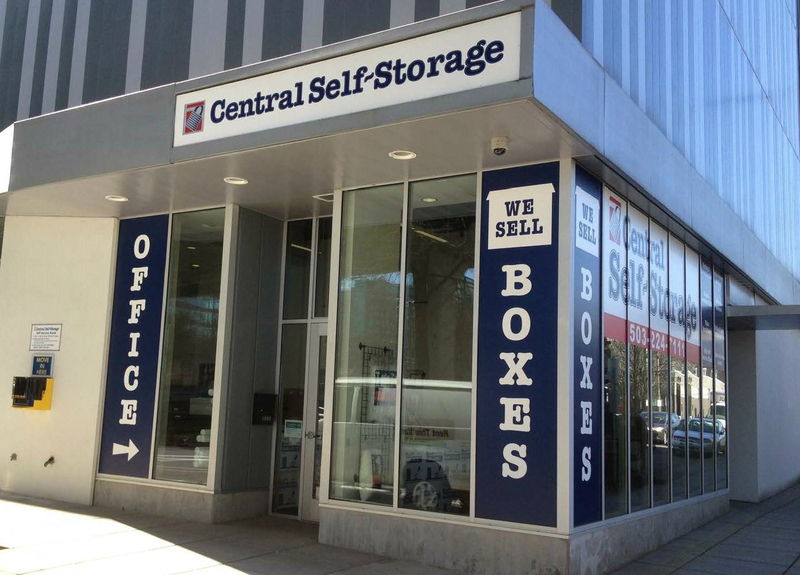 Central Self Storage in Portland would like to make life easier for our existing customers who store with us! From the comforts of your own home or office you can make a payment or set up a recurring payment, rent another unit, change an address, ask us to accept a delivery for you, or advise us when you may need to leave us. Please click on a link below for which service you need us to provide. You can email the form directly to our manager on-site or mail the form to our Portland self storage facility.